Introducing the newest addition to our collection of modern furniture, coming straight from the Glendale Collection, this beautiful White Glendale Chest Of Drawers. 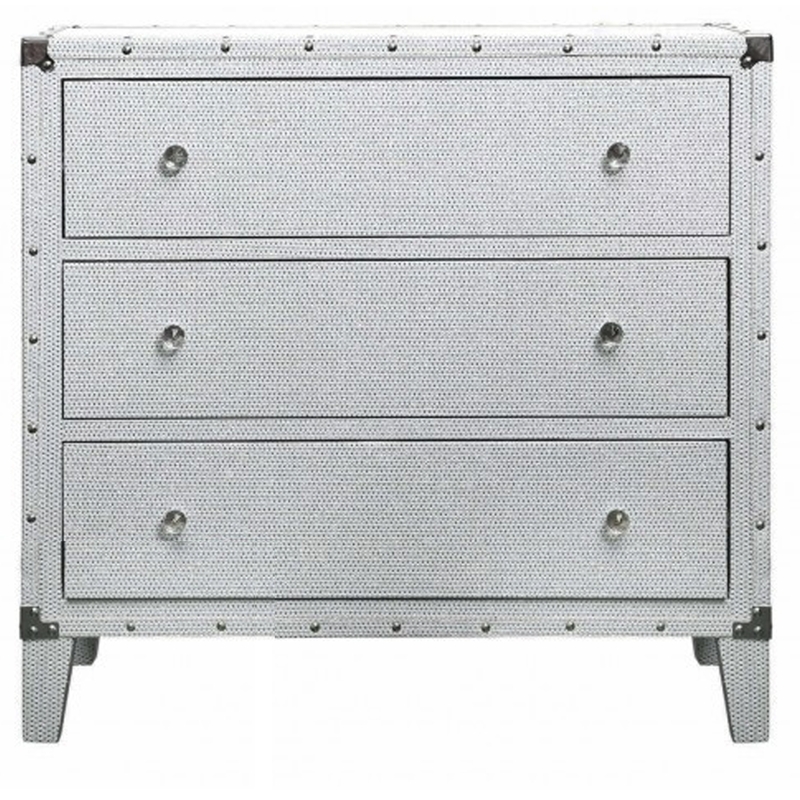 Complete with three large drawers for storage each drawer features two shiny crystal handles. With a white exterior and studded design around the outside it's a perfect addition to add to your home.